Azerbaijan, Baku, 26 August /corr. 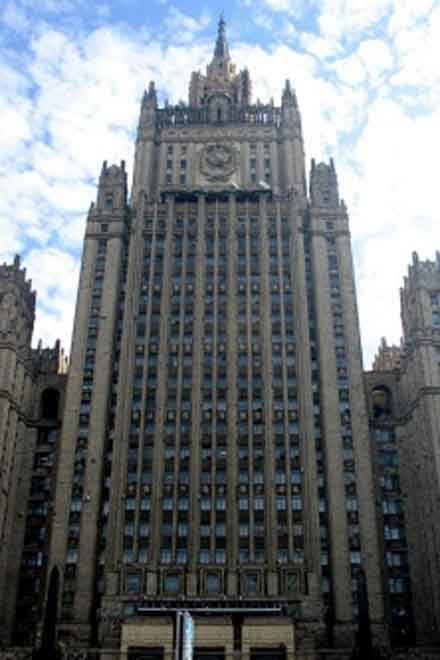 Trend J.Babayeva / Making a decision recognizing independence of South Ossetia and Abkhazia is based on the principles of international law, Russian Foreign Ministry's statement said. The document says that while taking this step, the Russian side referred to the provisions of the Charter of the United Nations, Helsinki Final Act and other basic international documents, including the 1970 Declaration on Principles of International Law regarding friendly relations between the states. "According to this Declaration, each state is obligated to restrain from any forcible actions, which deprive the peoples of their right of the self-determination, freedom and independence, to follow the principle of equality of rights and self-determination of peoples and have governments, which represent entire people, who lives in this territory. There are no doubts that Mikhail Saakashvili in no way corresponds to these high standards, established by the world community," Russian Foreign Ministry's statement said. The document says that the President of the Russian Federation made a decision recognizing independence of South Ossetia and Abkhazia and concluding agreements with them on friendship, co-operation and mutual assistance, taking into consideration the appeal of South-Ossetian and Abkhazian peoples, parliaments and presidents of the two republics, the opinion of Russian people and position of both Chambers of the Federal Assembly.
" Russia, which has sincere feelings of friendship and sympathy to the Georgian people, believes that sooner or later it will find worthy leaders, who can properly worry about their country and develop mutually-respectable, equal and good neighborly relations with all peoples of Caucasus. Russia will be ready to contribute it in every possible way," the statement says.